Listener Submission - A burger king takes down a unique sign. Nathan - Sleep is the body's best safety mechanism. It keeps you from screwing things up for 8 hours. #3 - Engineers have built a bright-light emitting device that is millimeters wide and fully transparent when turned off. The light emitting material in this device is a monolayer semiconductor, which is just three atoms thick. Mark Zuckerberg has refused the UK Parliament's request to go and speak about data abuse. The Facebook boss will send two of his senior deputies instead, the company said. #1 - The CLOUD Act would let cops get our data directly from big tech companies like Facebook without needing a warrant. Save all your facebook pictures! #3 - Trump’s national security advisers warned him not to congratulate Putin. He did it anyway. 'Utterly horrifying': ex-Facebook insider says covert data harvesting was routine. #4 - A self-driving Uber killed a pedestrian. Human drivers will kill 16 today. Schwahn - TIL a Dutch student once 'faked' a gap year as part of a university project to show how social media is not reflective of real life. Using edited/staged pictures, she created an illusion on Facebook she was travelling around South East Asia for over a month. In reality, she never left her apartment. Schwahn - John Musker, the Co-Director of 'The Little Mermaid', 'Aladdin', and 'Moana' retires from Disney after 40 years of work. #1 - The leaders of France, Germany, the US and UK have issued a joint statement stating "This is the first offensive use of a nerve agent in Europe since the Second World War", calling it an assault on UK sovereignty. #5 - China is cracking down on pollution like never before, with new green policies so hard-hitting and extensive they can be felt across the world. Bonus - This "Spring Forward" thing would be a lot more popular if we moved the clocks ahead at 2PM on Monday. Schwahn - Let's pretend violent video games teach you to use a gun to kill people. What other skills have you inconspicuously picked up playing video games? #4 - Terry Crews' sexual assault case against Adam Venit rejected by city attorney. #2 - Thousands of homes in Vancouver have been declared unused and liable for new empty homes tax as part of government attempt to tackle skyrocketing home prices and soaring rents. Schwahn - Honey Nut Cheerios now includes a pack of flower seeds you can plant to help bring back the bees. #4 - EU has prepared list of products for retaliatory tariffs, calculated for maximum political impact. Listener Submission - A beloved hot dog vendor gets attacked. #2 - State Dept. Was Granted $120 Million to Fight Russian Meddling. It Has Spent $0. #1 - Jordan Peele is the first black writer to win Oscar for best original screenplay. 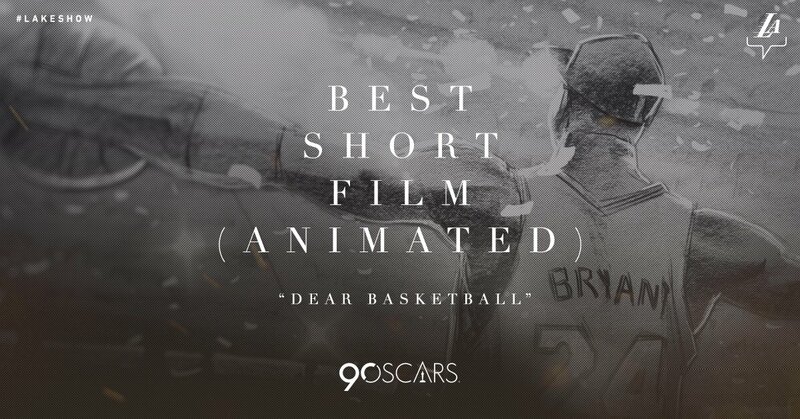 Kobe Bryant wins the Oscar for "Dear Basketball" in the animated short film category. Schwahn - The library of the future: Every year for the next 100 years, 100 famous authors have pledged to each write a novel that will remain unpublished until the 22nd Century, when they will be published as part of a 'Library of the future' art project. #1 - With all of the negative headlines dominating the news these days, it can be difficult to spot signs of progress. What makes you optimistic about the future? Schwahn - I’m Bill Gates, co-chair of the Bill & Melinda Gates Foundation. Ask Me Anything.